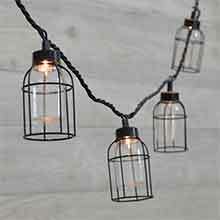 Vintage Style Edison Cage String Lights - 8.5 ft. 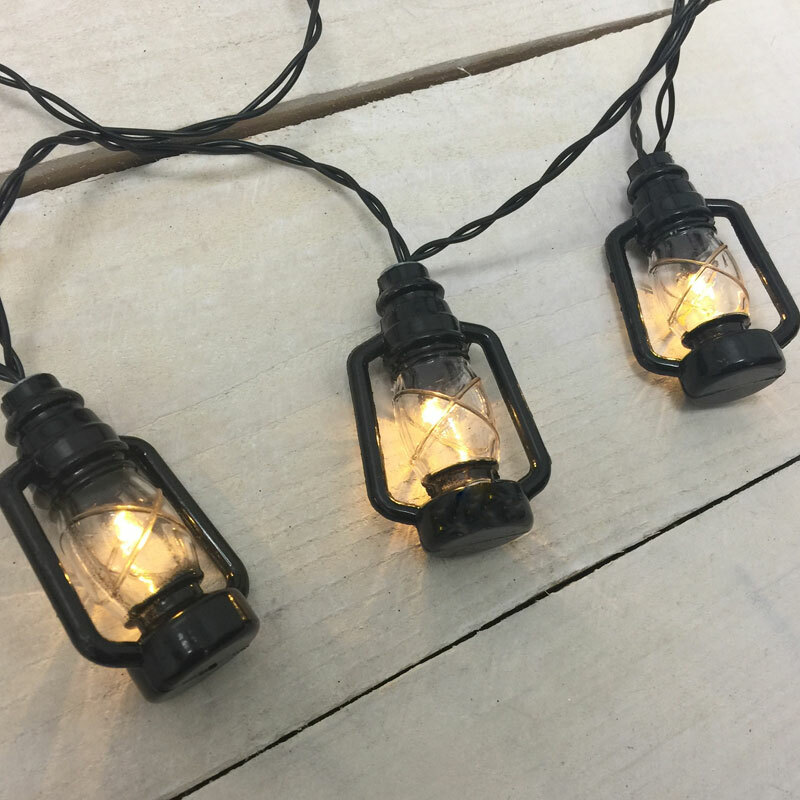 This mini lantern style light chain will make any party a hit! 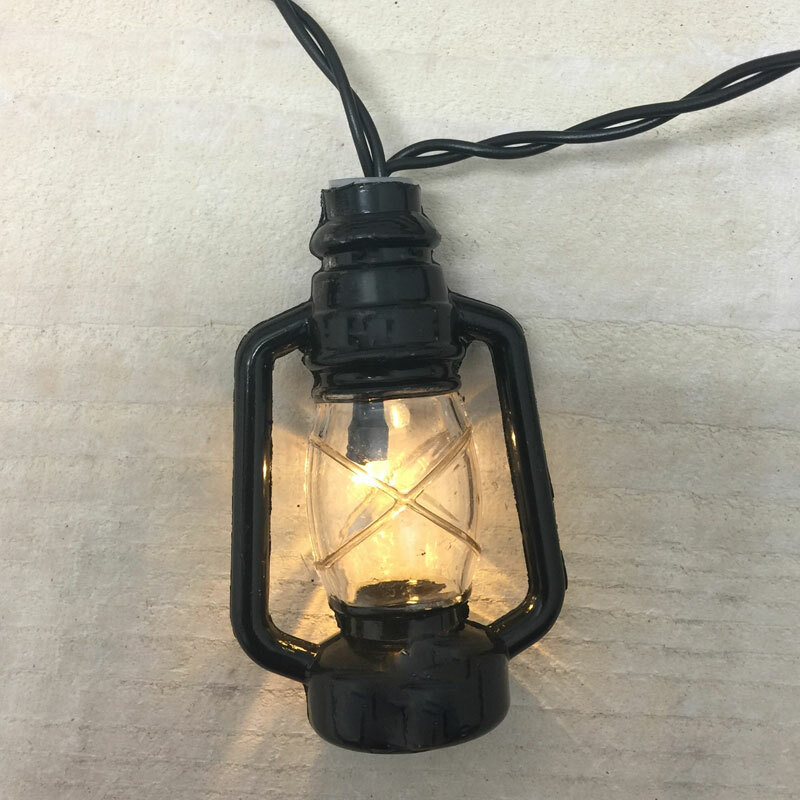 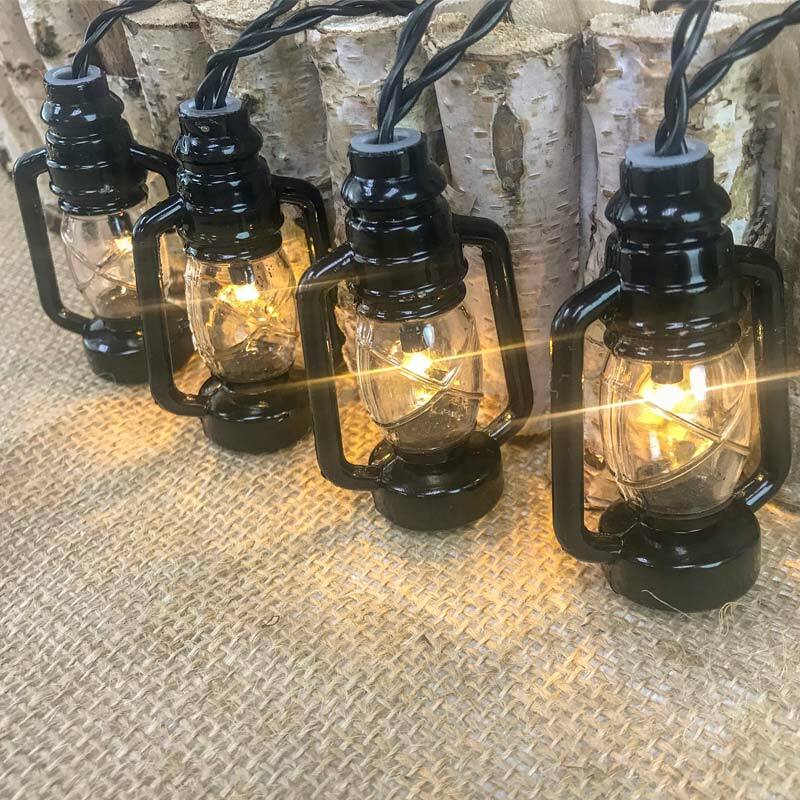 This Black Lantern LED Light Chain is perfect to hang for any indoor decorations including windows, mantles, or kitchens. 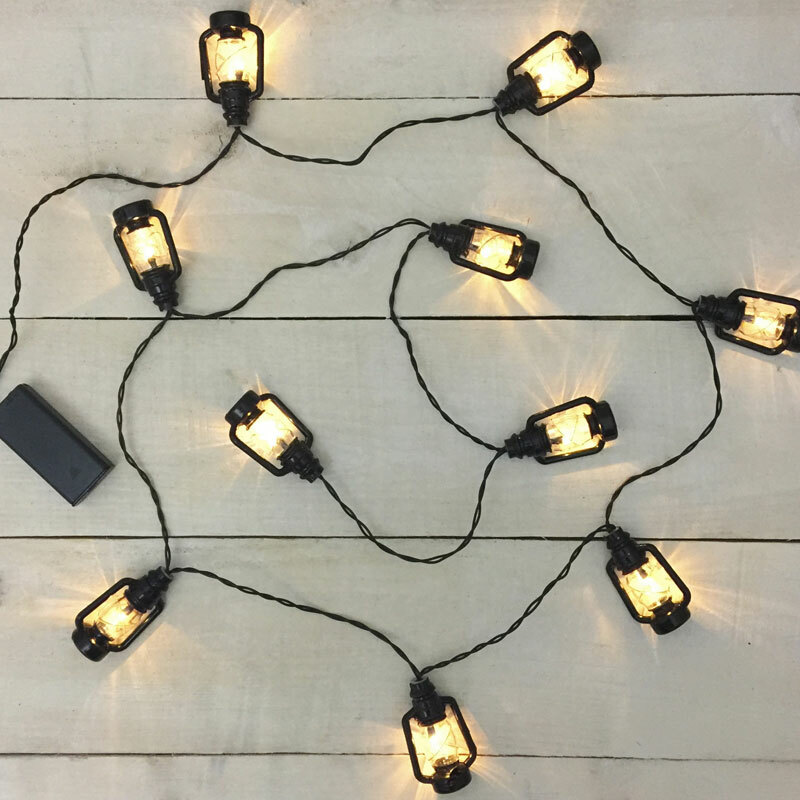 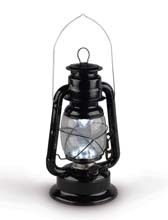 The light chain comes with 10 plastic black lanterns and LED lights on a long 82.5 inch (6.88 foot) wire. 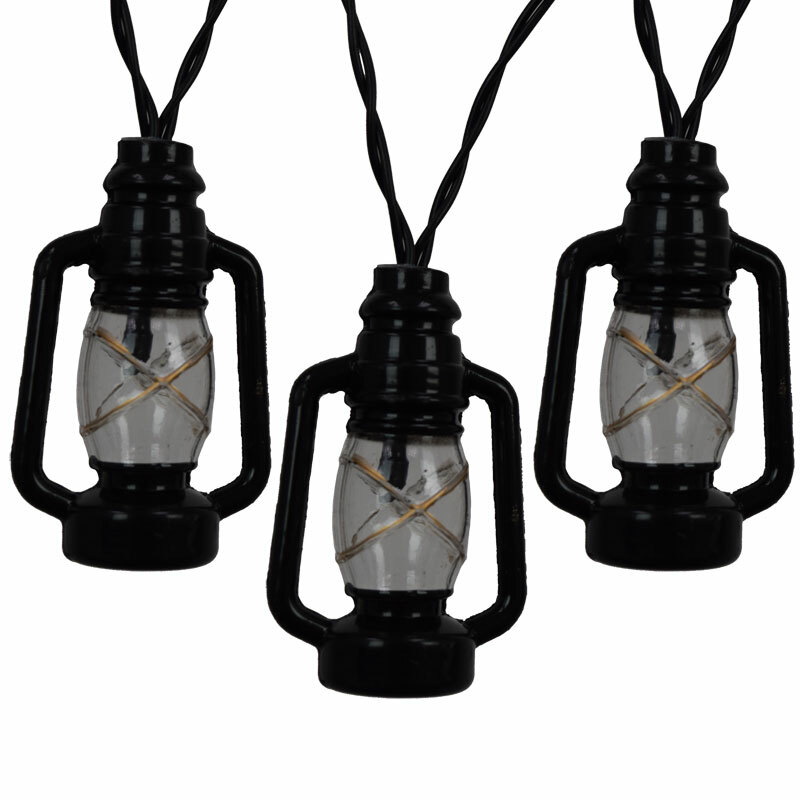 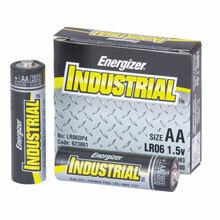 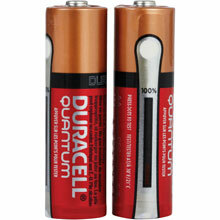 Battery operated, the light chain requires 2 AA batteries (sold separately).